This is a wonderful children praying coloring page. They are by Jesus in a field and they are kneeling as they pray. Great for Lent, Holy Week, and Good Friday. Prints to 8.5x11" PDF single sided. 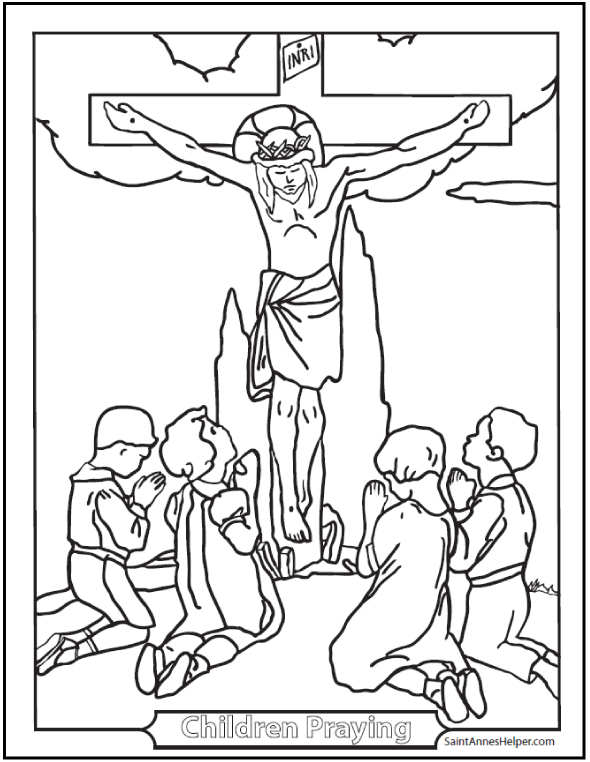 Print this coloring page of children praying by the Cross.